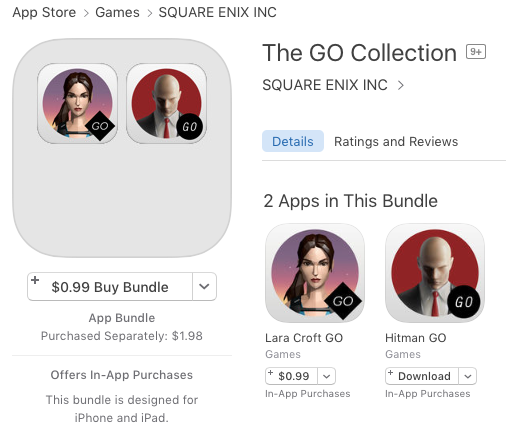 Square Enix is holding a sale on The GO Collection, which is its two-game bundle of Lara Croft GO and Hitman GO for iOS, both award-winning titles made at their Montreal studios for just $0.99 CAD. Normally, Lara Croft GO is $2.99 USD on its own, while Hitman GO is $4.99 USD. So to get both of these for $0.99 CAD is a frickn’ steal at $0.50 each. Also, both games on their own have been discounted to $0.99 CAD each as well, but you may as well just get the bundle. 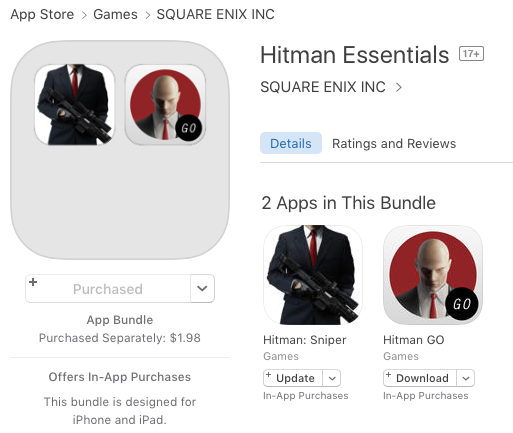 Another bundle called Hitman Essentials, which includes Hitman GO and Hitman: Sniper, is also available for $0.99, making each game work out to $0.50 each. Square Enix says this is the lowest price ever for these games. Click here to jump on The GO Collection for $0.99 in the App Store before the crazy flash sale ends.